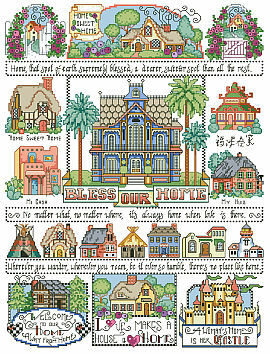 We always say “Love makes a house a home” and this charming Bless Our Home Sampler by designer Barbara Baatz Hillman is filled ‘chock a block’ with adorable little houses of every size and style. The variety of homes illustrated include a tee pee, lighthouse, castle and log cabin. 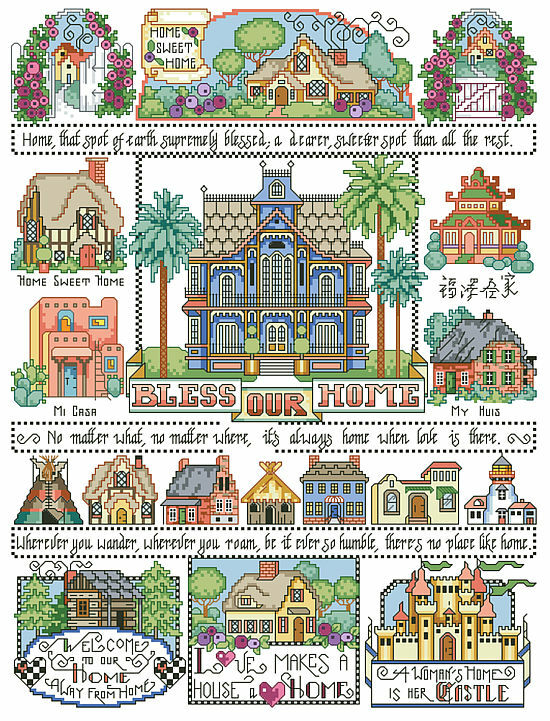 There is something for everyone in this inviting and detailed sampler. These little motifs can be used separately on small projects or all together in one fabulous sampler.